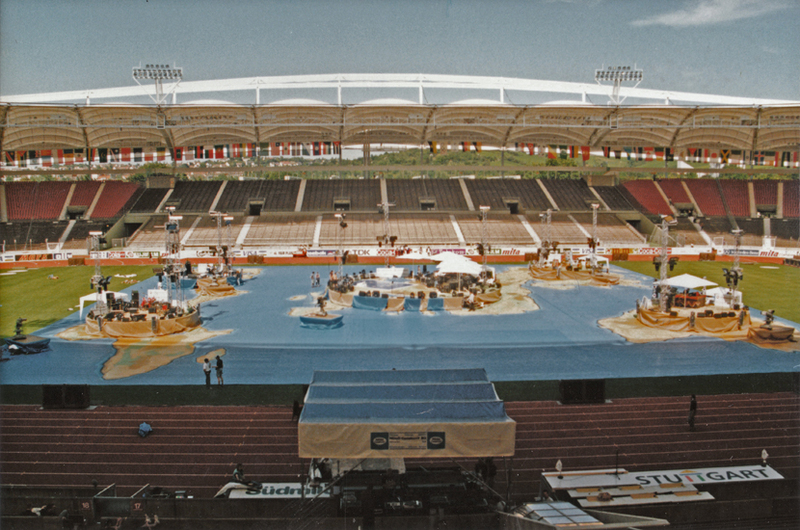 Lukas Taido was a co-composer, musician performing live on stage and a musical coordinator for the continent Asia during the opening ceremony of the world championships of athlectics (ISAAF) in Stuttgart, Germany. 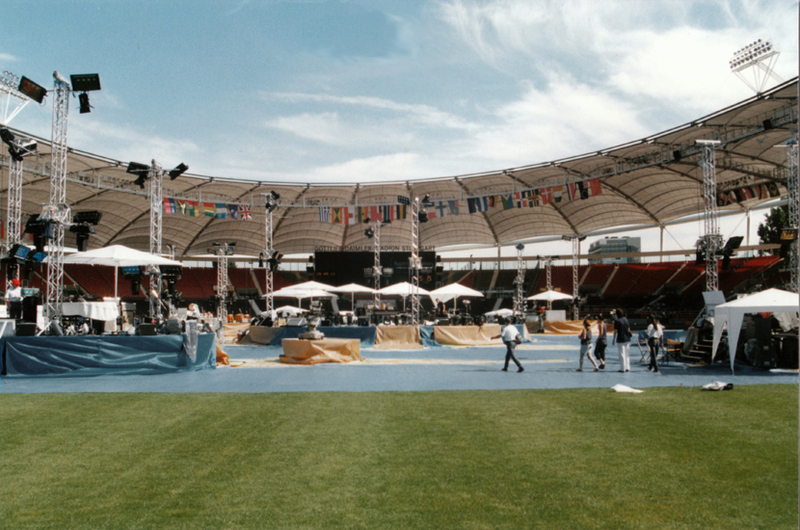 • Performing as a musician live on stage for the event itself, in the sold-out Gottlieb Daimler Stadium with an audience of 70.000 spectators. Additionally, about 400-500 million watched the event live on TV worldwide. 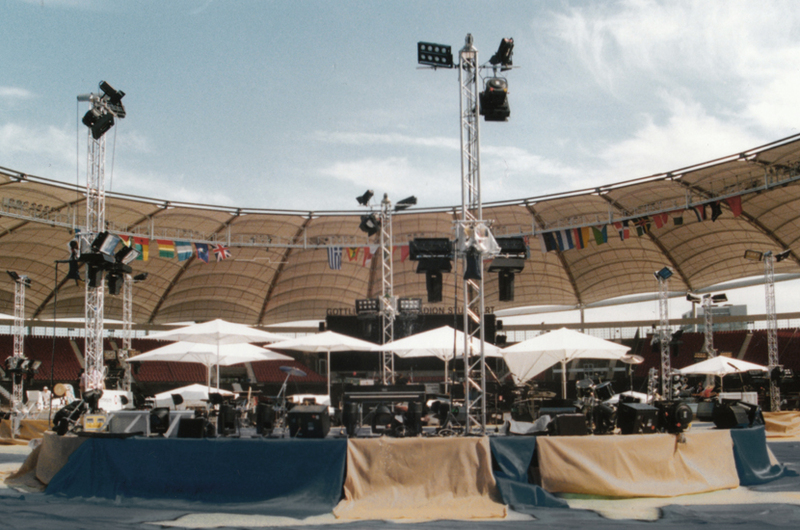 In Stuttgart, musicians from all over the world (Cairo, Sydney, Bali, Salvador di Bahia) and the band in the stadium itself, were playing together simultaneously, all broadcasted live via satelite TV. Each bandmember was in charge for one continent. L. Taido (as "Lukas Taido Velvet" in those days) additionally to playing his instruments, had a special 4-wire phone connection with Denpasar, Bali to give live-cues for the gamelan orchestra playing and singing on the other end of the world at that moment. The delays were incorporated into the musical composition, causing the music to "arrive" in Stuttgart at the right moment.